OMAHA, Neb. 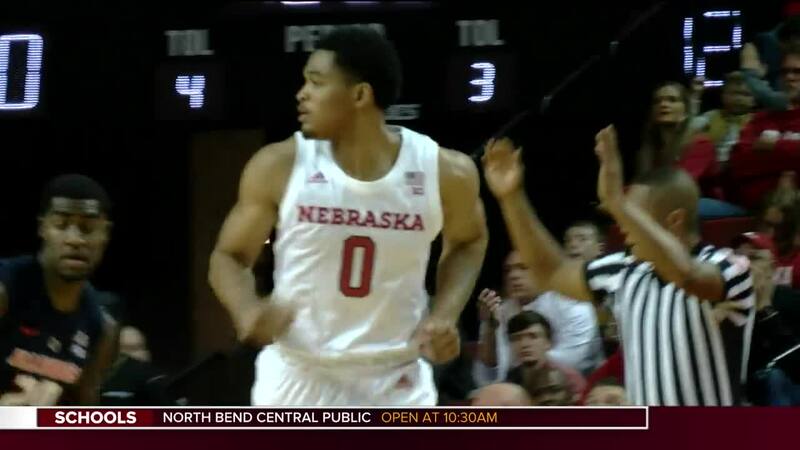 (KMTV) — Nebraska basketball won its 16th straight home game Sunday as it took down Illinois 75-60 in its Big Ten Conference opener in front of a packed house at Pinnacle Bank Arena. The Huskers improved to 7-1 on the season and 1-0 in Big Ten play after the win. James Palmer Jr. was the spark plug for the Huskers all afternoon with his 23 points, four assists and three rebounds. Isaac Copeland and Glynn Watson Jr. also had double-digit scoring afternoons, Copeland with 16 points and Watson with 14 points. The difference in the game for Nebraska was the fact that the Huskers got to the free-throw line 30 times and shot 83.3% from the charity stripe. Illinois on the other hand, shot just 13 free throws. The Huskers will play three games in a seven day stretch this week with a road matchup with Minnesota Wednesday before hosting in-state rival Creighton Saturday.